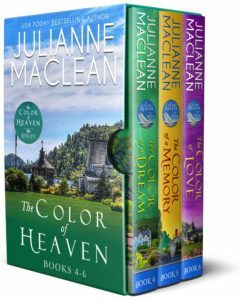 This boxed set includes THREE books in the beloved Color of Heaven series. It’s more than 800 pages of deep emotion, unexpected twists, and memorable family drama. Audrey Fitzgerald believed she was married to the perfect man – a heroic firefighter who saved lives, even beyond his own death. But a year after losing him she meets a mysterious woman who has some unexplained connection to her husband…. 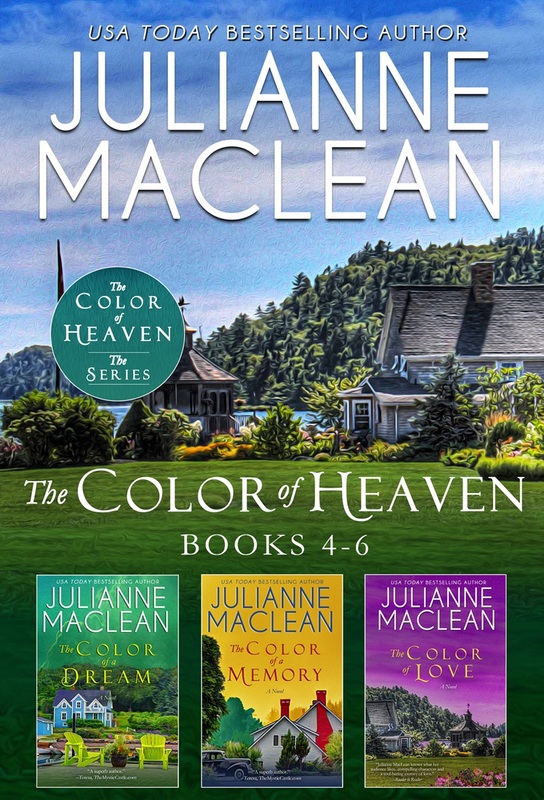 Soon Audrey discovers that her husband was keeping secrets, and she feels compelled to dig into his past. Little does she know, this journey of discovery will lead her down a new path to the future – a future she never dared to imagine. Carla Matthews is a single mother struggling to make ends meet and give her daughter Kaleigh a decent upbringing. When Kaleigh’s absent father Seth—a famous alpine climber who never wanted to be tied down—begs for a second chance at fatherhood, Carla is hesitant because she doesn’t want to pin her hopes on a man who is always seeking another mountain to scale. A man who was never willing to stay put in one place and raise a family. But when Seth’s plane goes missing after a crash landing in the harsh Canadian wilderness, Carla must wait for news… Is he dead or alive? Will the wreckage ever be found?